So, I helped her by putting together this board, and went to work. I felt that a "Tiffany's Box" room could quickly turn juvenille with too much bling, so I chose some other "sparkly" accessories that still felt grown up. The glass bubble pendants hanging over each side table give ambiance and glimmer. While these mirrored dressers were way over budget, I found some similar at Home Goods for a fraction of the price. At Ikea we found this bed which is similar to what she was originally looking at. Its clean lines and color make it the perfect base for the already bright room. 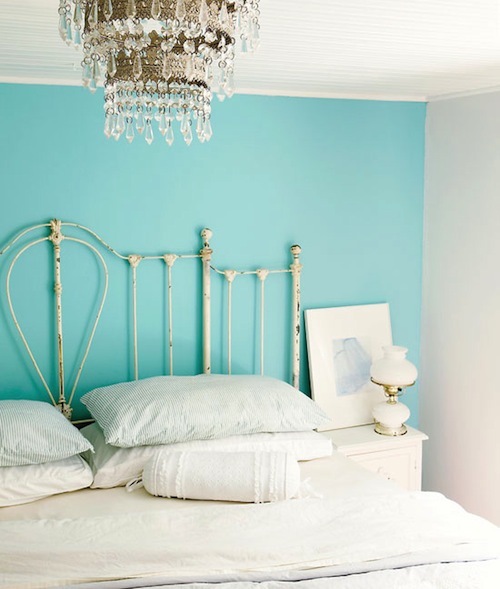 By adding the white bedding with a hint of aqua, it all ties together. The best part? The mock restoration hardware bedding is actually Fieldcrest for Target! Need some help with your space? Contact me! Be still my heart! LOVE IT ALL!!!! oh! this is absolutely gorgeous! 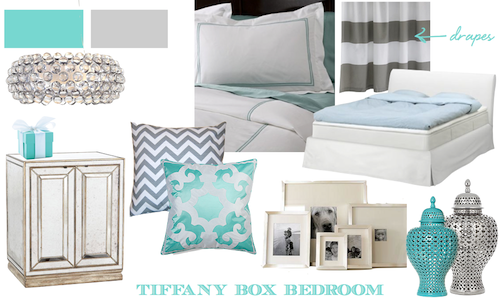 My bedroom is turquoise like this and I was inspired by blue Tiffany color! Gorgeous color choices. So simplistic but what an impact! so pretty, and i adore that chandelier! what girl doesn't love tiffany's. beautiful design. you got me at tiffany! 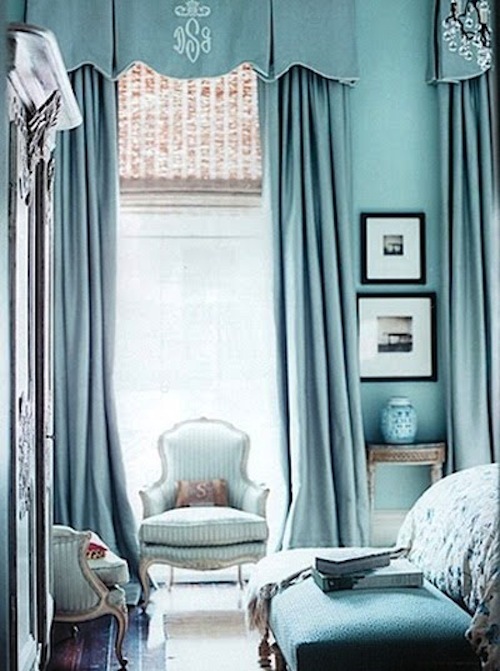 turquoise + white + grey is just adorable! Gorgeous! May I ask which grey paint you chose to pair?